If you are buying or looking for a condo in the Honolulu area you are in the right place. You won't find a website with a more comprehensive and well-presented summary of Hawaii condos for sale and real estate property details than you will here. Hawaii is an archipelago of six islands spread throughout the Pacific Ocean. If you have decided to move to Hawaii or are planning on buying a condo in Hawaii then you must know the basics of these islands. All of them fall under the name Hawaii but each of them has unique features and appeal. The many different floor plans for condominiums can be very daunting and confusing when people are looking for the best place to call their home. Some condominiums will have things that a person just needs to have, and others will not have enough. The prices for some condominiums that have everything a person wants may be out of their price range. Even though it is devastating to have to settle for a more economical home, people can still enjoy the options available to them. The best way to get around this is to write out a list with all of the things that a person loves about a home, and then look for cheaper condominiums that will have those options. Instead of looking at higher priced condominiums that people cannot afford, they can focus their attention on what they can afford, and find things about those homes that they love the most. 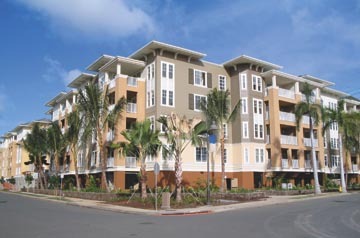 People can find great affordable condominiums with great amenities in good areas. They could be centrally located to schools and shopping centers, and the best beaches, that will make up for things that a home buyer cannot have. MLS listings will be the first line of defense for people to look for prices in their budget. The listings will give all of the great descriptions about each property so that homebuyers will know what they are getting. Homebuyers will also get a taste of the market at that time. If the market is not up to par for them at that time, they can choose to wait until it is a much better buying market. Finding condominiums through the MLS listings will help save a lot of time for people who cannot look at the condominium before hand. The listings will have great pictures and descriptions of the floor plans and amenities. The best thing to do is to get a list of all of the condominiums that a person likes, and then contact the agency to set up an appointment to view them. People can set up vacation time to visit Hawaii and look at the available list of condominiums. Real Estate Agents also have a list of many properties that can be shown while the person is in Hawaii. They may find the right home for them on the first try. Just the idea of living in Hawaii can be an incentive for people to make the time to find the best home. Finding a home in any state or city will be time consuming. The advantages to taking the time out to find a home is that a person can make sure that all of their bases have been covered. When they know that they have gone through every available condominium choice, and were able to pick out the right one. They will know that they made a great choice. It will also give them a lot of comfort knowing that they put in the homework. 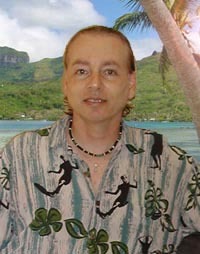 This website contains information about the condo market in Hawaii. Find new condominiums for sale, rentals, preconstruction, condominiums, condo hotels, townhomes and more today. Are Hawaii Condos on the Rebound? Listing courtesy of HI Sites Realty, LLC. Listing courtesy of Marina Hawaii Vacations. Courtesy of Foster Realty, Inc. Listing courtesy of Foster Realty, Inc.. Listing courtesy of Positive Real Estate. Searching for the right Condo in the perfect place? Chances are you'll want to check here first.